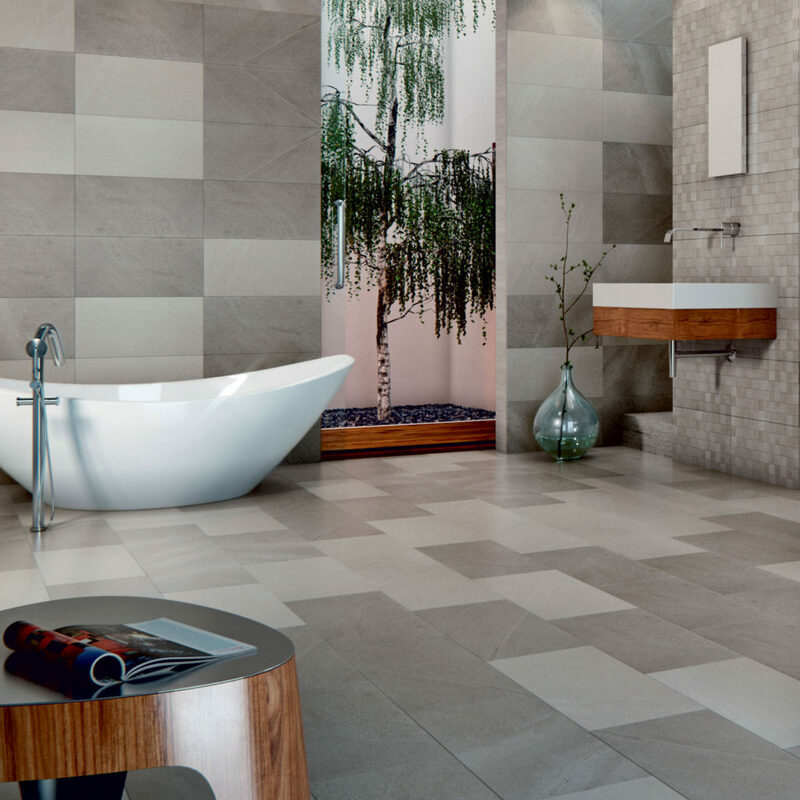 For any new bathroom design or kitchen design; at our tile showroom in Hereford, we have a large range of tiles, wall and floor coverings for you to choose from. 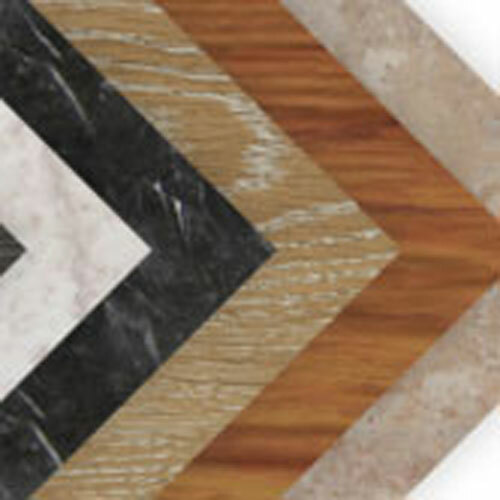 Once you’ve found the tiles that suit your needs from our wide selection on display you’ll be able to place an order for either delivery or collection. Complement or enhance your rooms design with endless options from wood effect porcelain with grain texture, classic designs to the quite unique. We have a wide range at our showroom, all come in different styles, colour and sizes. Whether you go for a rustic look, a seamless bathroom look or something more personalised we can help. With over 60 ranges to choose from you’re spoilt for choice and certain to find exactly what you’ve been looking for. Some ranges can even be used on wall and floor which will completely transform your bathroom. 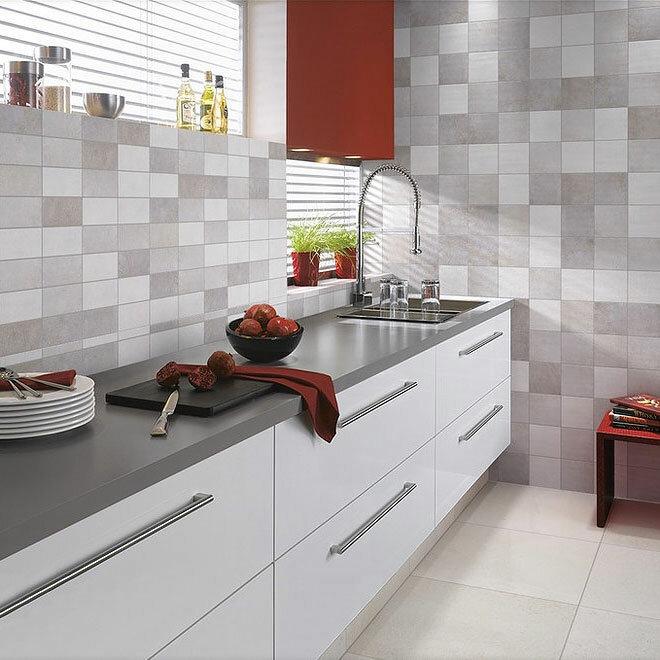 All wall tiles are suitable for kitchen and bathrooms and ranges come in a variety of tile sizes so that you can get the tiled look that you desire. 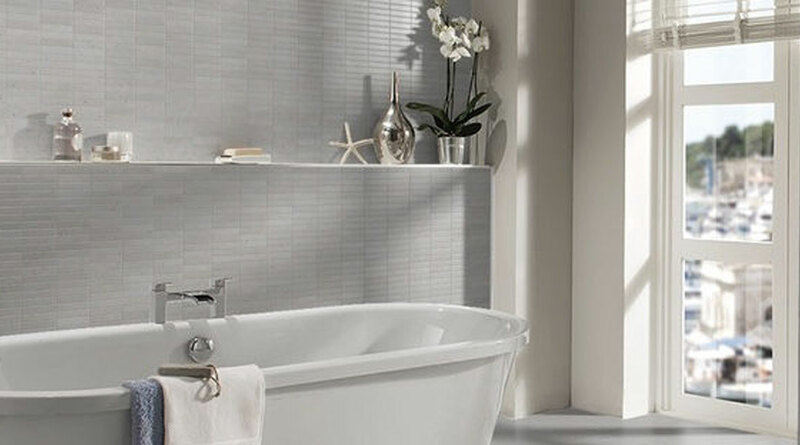 Choose large tiles for a modern twist or take a look at the Whites collection for a classic look. We have over 60 ranges to choose from all different styles, colours and sizes. Visit our showroom to view all of our ranges. 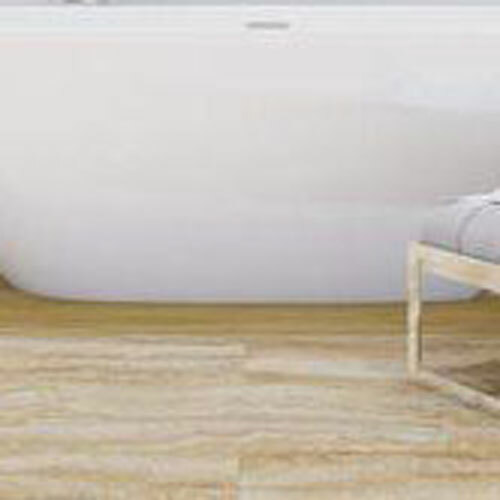 Over 43 ranges of floor tiles that can transform any part of a home, not just kitchens and bathrooms. Tiles used on kitchen floors, bathroom floors, hallways and conservatories offer practical uses including being easy to clean and wipe up any accidental spillages as well as durability for years to come. Choose from a huge selection of styles, colours and sizes. Visit our showroom to find out more. The Stick flooring is made from two overlapping layers of tough vinyl, producing a patented overlapping Gluestrip. This enables the planks and tiles to stick together rather than to the surface beneath, for a quick and simple installation. Our contemporary flooring has a domestic grade 0.3mm wear layer and is an affordable alternative to real tiles and wood. 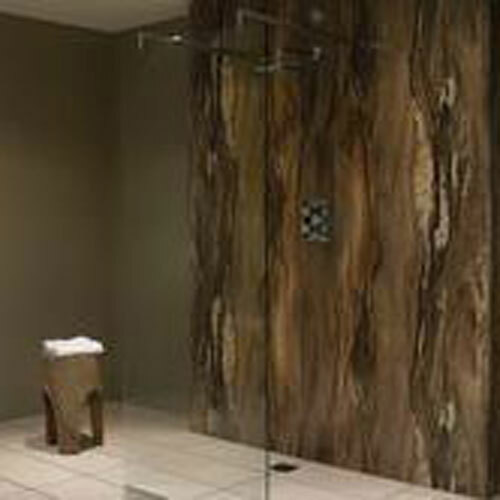 Laminated panelling is an ideal alternative to tiling. there are no grout lines to scrub at and day to day cleaning is no more than a simple wipe down. 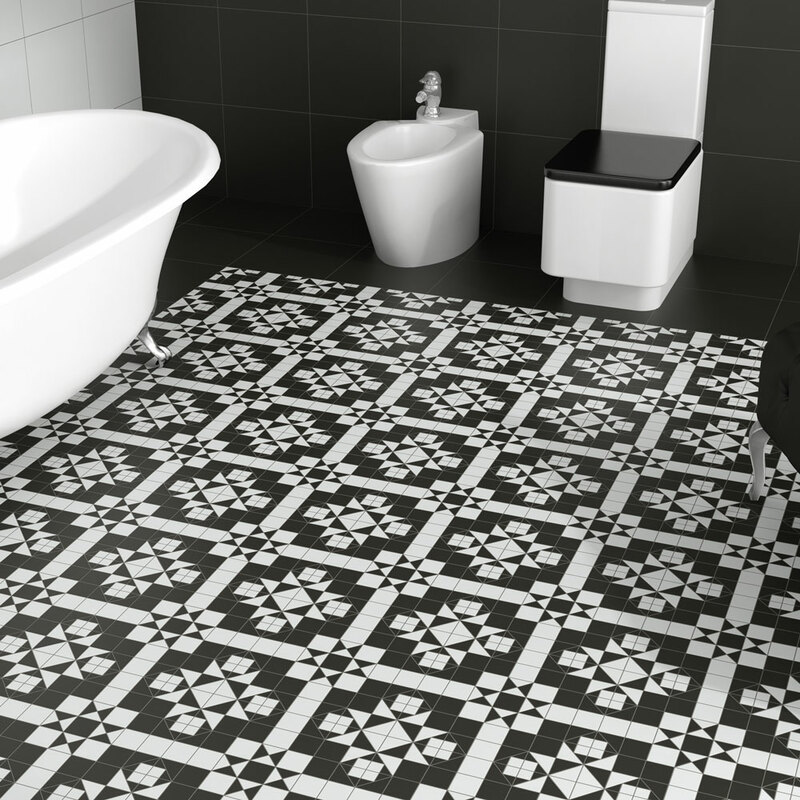 at bathroom world hereford, we various brands that give alternative design and sizes. we can assist yu with the sale or provide you with the installation service if required. here at bathroom world hereford, we can assist you with the sale or installation for whatever best suites your needs.